Celebrities wake up with perfect makeup and flawless hair… or so we would like to believe! But one thing is for sure:their hairstylists do an amazing job. Since celebrities change their hairstyles so often, crochet weaves are one of their many options. They are easy to install, and, depending on the style, they can be put in relatively quickly. With crochet hair that is curly, it is almost guaranteed that the wearer’s hair roots will be hidden under the coils. This makes the hair look more natural. However most of the time, you can’t even tell if these celebrities are wearing a wig, weave, or their natural hair. Check out these celebrities and see if you can tell that they are wearing curly crochet hair. If you do a Google search on celebrities who wear crochet braids, Kelly Rowland will certainly show up in your results. The Motivation singer is usually seen with straight hair, but curly crochet hair looks amazing on her. Kelly loves rockingthis style on the red carpet, and her choice of curls fit her face shapeperfectly!Her curls usually pass her shoulders, are tightly coiled, thick, and they are always incredibly shiny. Sometimes, she likes to pull them back into a glorious low puff. Solange Knowles should be crowned the Queen of Curls. She definitely isn’t shy about her hair, and has even provided us with the hair anthem of the decade. The “Don’t touch my hair” singer proudly sports her natural hair on a regular basis. On the days when she chooses to wear hair extensions, she prefers curly options like the ones you can get with crochet hair. Sometimes, you might even see her in crochet twists! 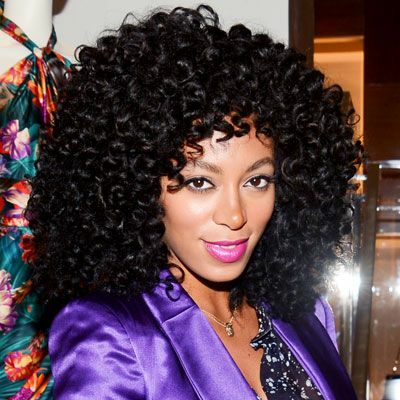 When Solange dons curly hair, she goes big. Sometimes she opts for big curls like the one in the picture, but other times, she unleashes tighter coils. She personifies the lyrics of her song by embracing her roots and refusing to shrink into pre-established standards of beauty. We just love this Barbadian beauty! We’re always eagerly awaiting her latest hairstyles, attire and songs.But one thing we’ve noticed over the years is that that Rihanna loves curly hairstyles.This playful megastar alsoenjoys experimenting with hair colours that make her hazel eyes pop. She hasmatched burgundy curls with a burgundy outfit, sported bouncy brown curls at a basketball game, and worn a crown of small wine-red spirals. 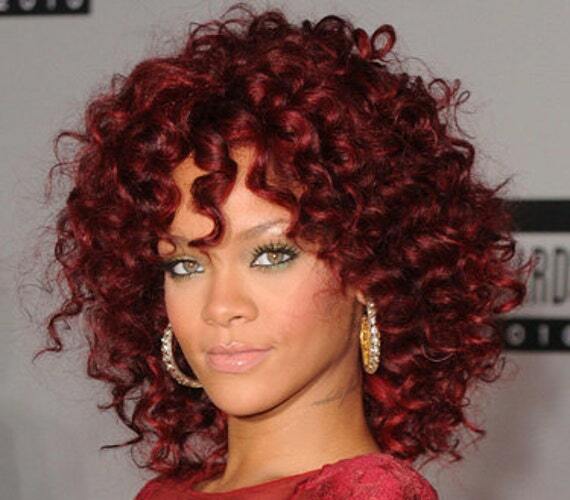 But no matter Riri’s hair colour,curly crochet hair works for her! 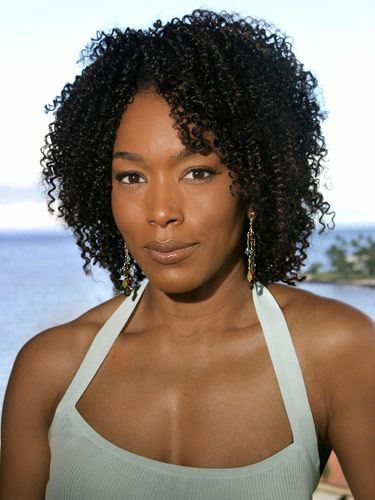 Actor Angela Basset has played in some high-profile, big-haired roles. She played Tina Turner in 1993, and has recurring roles in American Horror Story. She probably wears wigs for these shows, but we’re pretty convinced that the above-pictured coils are crochet braids. Angela loves wearing curly hair in a variety of styles. She has been seen in subtle curls, angled bobs, and even full-on afros. Whichever style she chooses, she always looks great in curly hair.